In this Oct. 11, 2011 file photo, Republican presidential candidate former Massachusetts Gov. 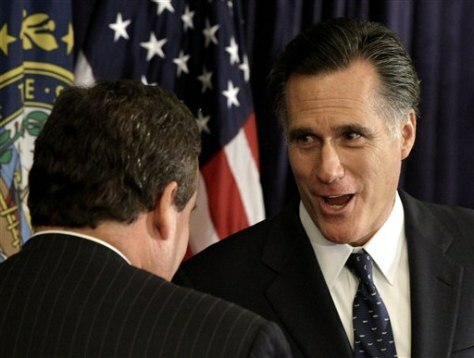 Mitt Romney, right, turns to shake New Jersey Gov. Chris Christie's hand after he endorsed Romney for president in Lebanon, N.H.